When working together with Michael Page a specialised Recruitment Consultant will be assigned to you and will take full ownership of your recruitment needs. 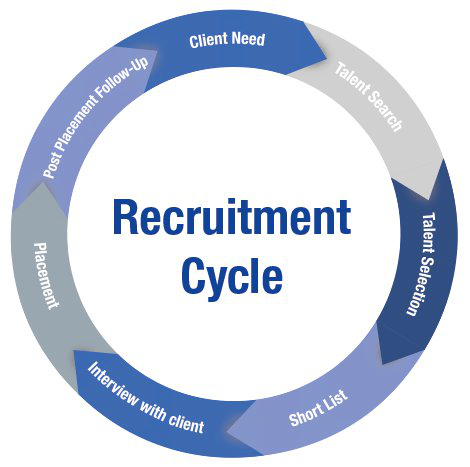 They will manage all the steps in the recruitment process, something we call A to Z responsibility. Recruiting through Michael Page begins with your meeting with one of our professional Recruitment Consultants. This will help us to understand your priorities for a new employee, including the skills and areas of expertise you require, the salary on offer, your corporate culture and whether you wish to secure a permanent, contract or temporary employee. We regard our relationship as a partnership. Therefore, we invest time in learning about your organisation and discovering the type of person who would add value to your team and to your company as a whole. We have an extensive and well-maintained candidate database. All these candidates have been personally interviewed by one of our Recruitment Consultants and are contacted regularly to ensure they are still available for a new role. We also offer the option to advertise on your behalf. Our media buying power ensures you receive premier positioning in all the major media, both online and in print. The Michael Page brand name and widely recognised advertising style attracts an excellent calibre of jobseeker. Michael Page applies sophisticated and structured interviewing techniques during the recruitment process. We base our interviews around a set of predetermined criteria that we agree with you before interviewing begins. The references of all our candidates are also thoroughly checked to verify their integrity. In addition, Michael Page can offer aptitude and psychometric testing using specialist partner organisations. After our initial talent selection process, the Recruitment Consultant will present you with a shortlist of appropriate candidates, based on predetermined criteria such as personality traits, experience, skills and qualifications. Our philosophy is to find the right match for you and our candidates, thus ensuring maximum satisfaction for both parties. This philosophy is the cornerstone on which we have built our reputation. During this stage, you have the opportunity to interview the presented candidates in order to assess whether they fit your predetermined profile and company culture. Following a successful interview, our Recruitment Consultant will assist and lead the negotiations between you and your chosen candidate. This includes supporting you in offering the candidate a suitably attractive remuneration package and planning for their smooth integration into your organisation. Our service doesn’t end with a successful placement. Your Michael Page Recruitment Consultant will schedule meetings with you and the candidate to ensure placement success and continuous improvement of our service. By staying involved during the post placement process, we aim to build long-term mutual beneficial relationships with our clients and candidates.